Perfectly located walking distance to Hot Springs, this beautifully maintained home offers the ideal setting for your dream mountain getaway. 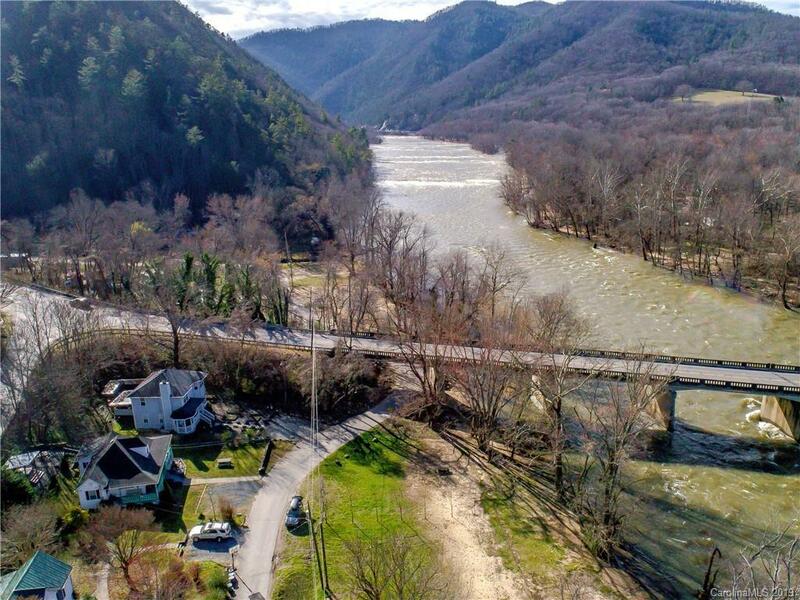 The property directly borders both the Appalachian Trail & the French Broad River. You can literally go on an awesome hike and/or put in + take out your boats from the property! Built in 2005 with excellent construction quality, the home is in great shape & requires low maintenance. Enjoy the bright & sunny open concept lower level perfect for entertaining. Upstairs features 3 generous bedrooms creating comfort & privacy for all. Easily walk to town, the resort w/ soothing natural mineral waters, Nantahala Outdoor Center outpost, multiple hiking trail options, & more! Perfectly suited for your mountain home, primary residence, or lucrative Airbnb / VRBO vacation rental. This property would cash flow well, creating the opportunity to cover the mortgage from rental income, while you have a splendid mountain getaway to enjoy. Rare opportunity!